With the onset of autumn we can expect the nights to draw in, and the mornings become darker, and burglaries to increase. October is National Home Security Month so there’s no better time to address the security of your home and loved-ones, and with the Halloween and Bonfire Night period seeing burglaries increase by an average of 160%, it’s time to take action! Research from Co-Op Insurance has revealed that there is an alarming spike in home break-ins and property damage in the months following the clocks going back. The research attributes the 36% increase in burglaries to the fact that intruders find it easier to hide under the cover of darkness, as well as finding it easier to spot empty properties as they do not have the lights on. Homeowners are being advised to be on their guard, and we have put together a few top tips to help you secure your home. 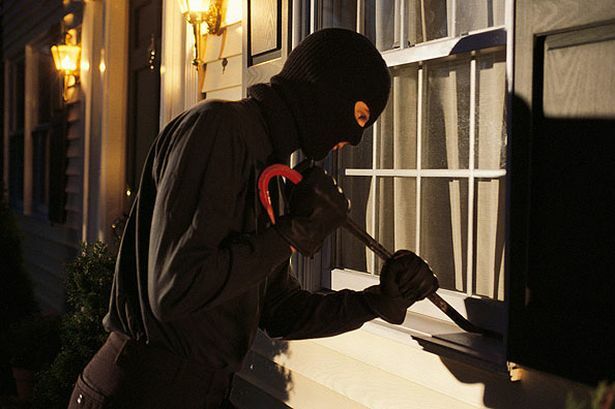 It might seem obvious, but it’s surprising how many of us don’t lock our windows when we leave the property, or leave the front door unlocked while we are in the home. Half of the population has a burglar alarm on their property, yet only 40% of people actually set their alarms at night or when they go out. Burglars can easily spot an unoccupied home due to its lack of lighting, and this is made more obvious as the nights draw in. Keep a light on, or setting your lights on a timer system, will make burglars think twice about targeting your home. If you’re going away for a few days, or even out for the night, don’t post it on social media! Many burglars will often research their targeted area before they strike and publicising the fact that your house is empty is an open invite to thieves. Investing in a monitored security system is the ideal way to protect your home, family and valuables, whilst having complete peace of mind. The innovative technology sends an instant notification to an alarm receiving centre if the alarm is triggered, meaning someone is aware of any potential issues and can contact the emergency services directly to assist in an incident.